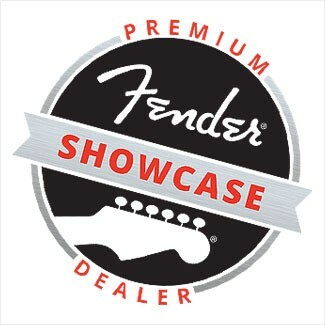 Looking for a quality electric guitar and at a good price? On our MusicNexo online store you’ll find a wide range of electric guitars from well known brand names such as Stratocaster, Aristocrat, Telecaster, etc. You'll find everything in electric guitars at best price. Electric guitar Jackson JS1X Dinky Minion BK. The body type of this guitar is Others, with Amaranth fretboard and 24 frets. It also has Guitar Humbucker/Humbucker pickups and Fixed bridge. 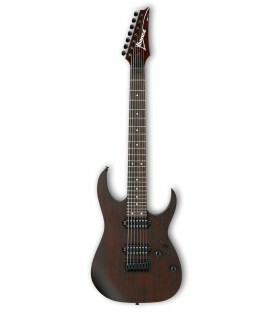 Jackson JS1X Dinky Minion BK is a high quality electric guitar. You can buy it now at MusicNexo in an easy way and at the best price. Electric guitar Jackson JS1X RR Minion Satin Black. The body type of this guitar is Heavy, with Amaranth fretboard and 24 frets. It also has Guitar Humbucker/Humbucker pickups and Fixed bridge. 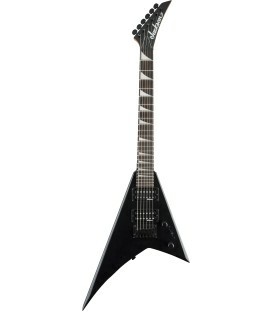 Jackson JS1X RR Minion Satin Black is a high quality electric guitar. You can buy it now at MusicNexo in an easy way and at the best price. Electric guitar Yamaha Revstar RS420 Black Steel. The body type of this guitar is Others, with Rosewood fretboard and 22 frets. It also has Guitar Humbucker/Humbucker pickups and Fixed bridge. Yamaha Revstar RS420 Black Steel is a high quality electric guitar. You can buy it now at MusicNexo in an easy way and at the best price. Electric guitar Fender Mustang MN BK. The body type of this guitar is Others, with Maple fretboard and 22 frets. It also has Guitar Single/Single pickups and Fixed bridge. 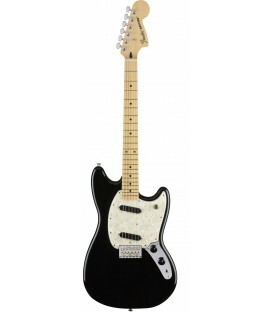 Fender Mustang MN BK is a high quality electric guitar. You can buy it now at MusicNexo in an easy way and at the best price. Electric guitar Ibanez GB10SE BS. The body type of this guitar is Jazz, with Ebony fretboard and 22 frets. It also has Guitar Humbucker/Humbucker pickups and Fixed bridge. Ibanez GB10SE BS is a high quality electric guitar. You can buy it now at MusicNexo in an easy way and at the best price. Electric guitar Ibanez RG7421 WNF. The body type of this guitar is Others, with Rosewood fretboard and 24 frets. It also has Guitar Humbucker/Humbucker pickups and Fixed bridge. 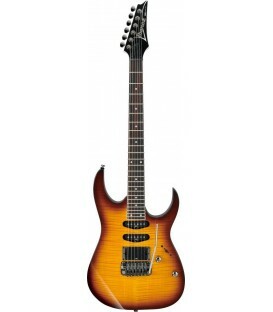 Ibanez RG7421 WNF is a high quality electric guitar. You can buy it now at MusicNexo in an easy way and at the best price. Electric guitar Fender American Professional Telecaster RW NAT. The body type of this guitar is Tele, with Rosewood fretboard and 22 frets. It also has Guitar Single/Single pickups and Fixed bridge. Fender American Professional Telecaster RW NAT is a high quality electric guitar. You can buy it now at MusicNexo in an easy way and at the best price. Electric guitar Fender American Professional Telecaster RW 3TS. The body type of this guitar is Tele, with Rosewood fretboard and 22 frets. It also has Guitar Single/Single pickups and Fixed bridge. Fender American Professional Telecaster RW 3TS is a high quality electric guitar. You can buy it now at MusicNexo in an easy way and at the best price. Electric guitar Vox Starstream Type 1 Black. The body type of this guitar is Others, with Rosewood fretboard and 22 frets. It also has Guitar Humbucker/Humbucker pickups and Trémolo bridge. Vox Starstream Type 1 Black is a high quality electric guitar. You can buy it now at MusicNexo in an easy way and at the best price. Electric guitar Vox Starstream Type 1 Frame Black. The body type of this guitar is Others, with Rosewood fretboard and 22 frets. It also has Guitar Humbucker/Humbucker pickups and Trémolo bridge. Vox Starstream Type 1 Frame Black is a high quality electric guitar. You can buy it now at MusicNexo in an easy way and at the best price. Electric guitar Vox Starstream Type 1 Frame Red. The body type of this guitar is Others, with Rosewood fretboard and 22 frets. It also has Guitar Humbucker/Humbucker pickups and Trémolo bridge. Vox Starstream Type 1 Frame Red is a high quality electric guitar. You can buy it now at MusicNexo in an easy way and at the best price. Electric guitar Vox Starstream Type 1 Frame White. The body type of this guitar is Others, with Rosewood fretboard and 22 frets. It also has Guitar Humbucker/Humbucker pickups and Trémolo bridge. Vox Starstream Type 1 Frame White is a high quality electric guitar. You can buy it now at MusicNexo in an easy way and at the best price. Electric guitar Vox Starstream Type 1 Red. The body type of this guitar is Others, with Rosewood fretboard and 22 frets. It also has Guitar Humbucker/Humbucker pickups and Trémolo bridge. 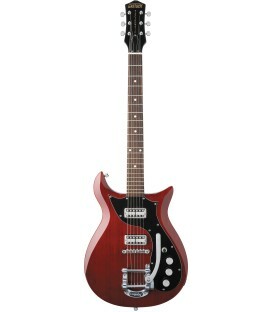 Vox Starstream Type 1 Red is a high quality electric guitar. You can buy it now at MusicNexo in an easy way and at the best price. Electric guitar Gretsch G5135CVT Electromatic Crerry. The body type of this guitar is Others, with Rosewood fretboard and 21 frets. It also has Guitar Humbucker/Humbucker pickups and Bigsby bridge. 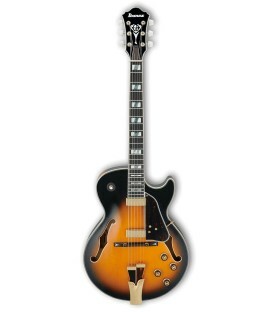 Gretsch G5135CVT Electromatic Crerry is a high quality electric guitar. You can buy it now at MusicNexo in an easy way and at the best price. Electric guitar Ibanez RG460-VFM BBT. The body type of this guitar is Strat, with Rosewood fretboard and 24 frets. It also has Guitar Humbucker/Single/Single pickups and Trémolo bridge. Ibanez RG460-VFM BBT is a high quality electric guitar. You can buy it now at MusicNexo in an easy way and at the best price. Electric guitar Variax Standard Black. The body type of this guitar is Strat, with Rosewood fretboard and 22 frets. It also has Guitar Single/Single/Single pickups and Trémolo bridge. 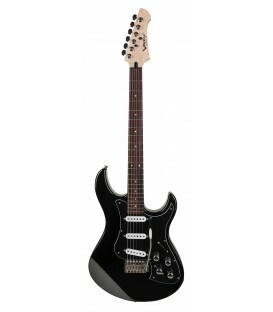 Variax Standard Black is a high quality electric guitar. You can buy it now at MusicNexo in an easy way and at the best price. Electric guitar Fender American Elite Stratocaster MN ACB. The body type of this guitar is Strat, with Maple fretboard and 22 frets. It also has Guitar Single/Single/Single pickups and Trémolo bridge. Fender American Elite Stratocaster MN ACB is a high quality electric guitar. You can buy it now at MusicNexo in an easy way and at the best price. Electric guitar Fender Kurt Cobain Jaguar RW 3TS. The body type of this guitar is Others, with Rosewood fretboard and 22 frets. It also has Guitar Humbucker/Humbucker pickups and Trémolo bridge. 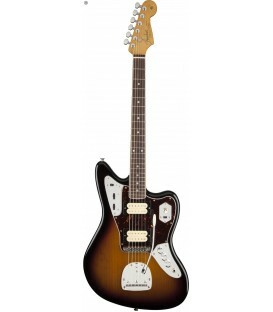 Fender Kurt Cobain Jaguar RW 3TS is a high quality electric guitar. You can buy it now at MusicNexo in an easy way and at the best price. Electric guitar Yamaha Revstar RS620 Brick Burst. The body type of this guitar is Others, with Rosewood fretboard and 22 frets. It also has Guitar Humbucker/Humbucker pickups and Fixed bridge. Yamaha Revstar RS620 Brick Burst is a high quality electric guitar. You can buy it now at MusicNexo in an easy way and at the best price. Electric guitar Yamaha Revstar RS820CR Rusty Rat. The body type of this guitar is Others, with Rosewood fretboard and 22 frets. It also has Guitar Humbucker/Humbucker pickups and Fixed bridge. Yamaha Revstar RS820CR Rusty Rat is a high quality electric guitar. You can buy it now at MusicNexo in an easy way and at the best price. Electric guitar Yamaha Revstar RS320 Black Steel. The body type of this guitar is Others, with Rosewood fretboard and 22 frets. It also has Guitar Humbucker/Humbucker pickups and Fixed bridge. Yamaha Revstar RS320 Black Steel is a high quality electric guitar. You can buy it now at MusicNexo in an easy way and at the best price. Electric guitar Yamaha Pacifica 212VQM CBR. The body type of this guitar is Strat, with Rosewood fretboard and 22 frets. It also has Guitar Humbucker/Single/Single pickups and Trémolo bridge. Yamaha Pacifica 212VQM CBR is a high quality electric guitar. You can buy it now at MusicNexo in an easy way and at the best price. Electric guitar Yamaha RGX220DZ DMG. The body type of this guitar is Strat, with Rosewood fretboard and 24 frets. It also has Guitar Humbucker/Humbucker pickups and Float bridge. Yamaha RGX220DZ DMG is a high quality electric guitar. You can buy it now at MusicNexo in an easy way and at the best price. Electric guitar Yamaha RGXA2 WHAG. The body type of this guitar is Strat, with Rosewood fretboard and 22 frets. It also has Guitar Humbucker/Humbucker pickups and Fixed bridge. Yamaha RGXA2 WHAG is a high quality electric guitar. You can buy it now at MusicNexo in an easy way and at the best price. Electric guitar Yamaha Pacifica 112VM BK electric guitar. The body type of this guitar is Strat, with Maple fretboard and 22 frets. It also has Guitar Humbucker/Single/Single pickups and Trémolo bridge. Yamaha Pacifica 112VM BK electric guitar is a high quality electric guitar. You can buy it now at MusicNexo in an easy way and at the best price. Electric guitar Yamaha Pacifica 112J OVS electric guitar. The body type of this guitar is Strat, with Rosewood fretboard and 22 frets. It also has Guitar Humbucker/Single/Single pickups and Trémolo bridge. Yamaha Pacifica 112J OVS electric guitar is a high quality electric guitar. You can buy it now at MusicNexo in an easy way and at the best price. Electric guitar Yamaha Pacifica 112J YNS electric guitar. The body type of this guitar is Strat, with Rosewood fretboard and 22 frets. It also has Guitar Humbucker/Single/Single pickups and Trémolo bridge. Yamaha Pacifica 112J YNS electric guitar is a high quality electric guitar. You can buy it now at MusicNexo in an easy way and at the best price. Electric guitar Yamaha RGX220DZ Satin Black electric guitar. The body type of this guitar is Strat, with Rosewood fretboard and 24 frets. It also has Guitar Humbucker/Humbucker pickups and Float bridge. 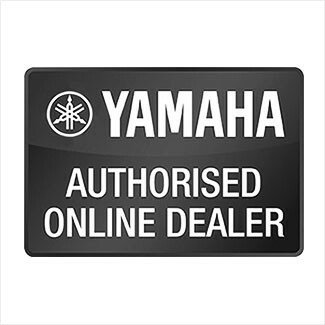 Yamaha RGX220DZ Satin Black electric guitar is a high quality electric guitar. You can buy it now at MusicNexo in an easy way and at the best price.